"Mr. Achebe draws a fascinating picture of tribal life among his own people at the end of the nineteenth century...A vivid imagination illuminates every page, and his style is a model of clarity. This novel genuinely succeeds in presenting tribal life from the inside. 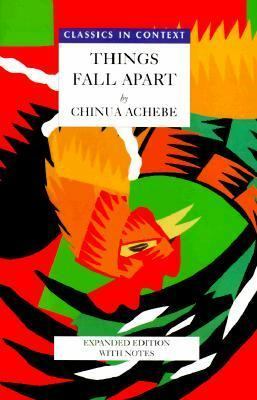 "Achebe, Chinua is the author of 'Things Fall Apart', published 1996 under ISBN 9780435905255 and ISBN 0435905252.